As a biker one of the things I found the most frustrating was either having to look like a biker in all the leathers or having to get changed all the time. Leathers to normal clothing and back again. There had to be a solution where you could wear something more normal. In comes Kevlar jeans. Amazing, now you can wear normal looking jeans and be safe, but you’re still restricted to that look. A single pair of jeans – unless of course you’re a lucky owner of a money tree and can have multiple pairs. I was dreaming of total freedom in what I chose to wear while also being safe. That’s when I discovered Bowtex Kevlar leggings. These give you the protection you need in a base layer legging, giving you the unlimited choice of wearing whatever trousers you fancy. The end of looking like a biker and the start of being able to wear whatever you like. 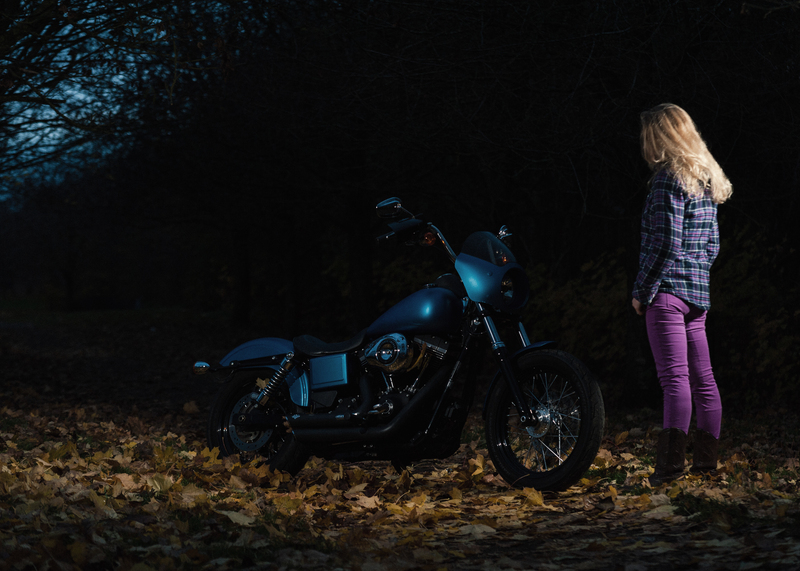 I do find it funny how many disapproving looks you get for riding in your bright purple Calvin Clein jeans…being judged that you’re being reckless but little do they know – underneath I have woven Kevlar to save my skin. Protected! 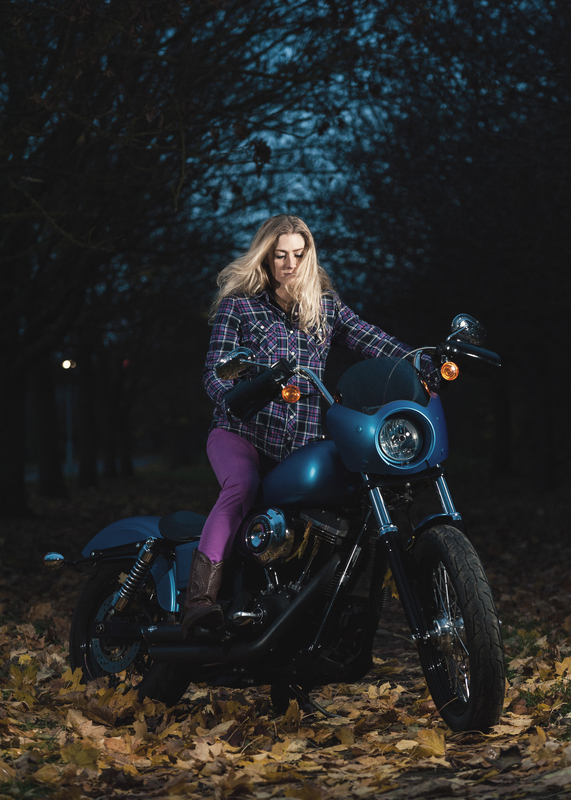 There are so many companies making protective riding jeans that are designed to offer impact and abrasion resistance should the worst happen. However, this base layer system with the same level of protection, is something offered by Bowtex and only a few rival brands, I really think, is going to catch on. So how to I rate them? Bowtex have been making their leggings with safety front of mind, which is exactly what you’d expect. The main portion of the leggings is made from a blend of DuPont™ Kevlar®, Protex and cotton to provide protection against abrasion, heat and flames, while also giving the comfort. They are further strengthened by 100% woven Kevlar on the high-risk areas including the hips, bum and knees – the areas where you’re most likely to inflict prolonged contact with the ground in a fall or crash. And, you then have the added option to have industry standard D30 armour as the leggings come with pockets ready. That’s abrasion, heat and impact covered – and all in a pair of leggings! Yes, if you come off your jeans on top will highly likely be written off but you’ll be happy in the knowledge that your leggings are going to keep your skin on and absorb some of the shock! Built-in hip and knee pockets for Bowtex® impact protectors. For me, having been in an accident I won’t even jump on the bike for a pint of milk without the right protection and clothing like this makes being protected so easy. It’s a no brainer. One thing to note is that Bowtex have a couple of legging options. I’m talking about their yellow leggings, which offer the full Kevlar protection. They also do a commuter version for lower risk riding at a lower cost. The commuter leggings have a lower Kevlar portion, replaced by elastane and polyester. The result is a more flexible legging for swift and frequent changing, however these do of course offer lower protection as you’re only protected in the high-risk areas. Personally, not a pair for me but worth mentioning. Built-in hip and knee pockets for Bowtex® CE rated impact protectors. This is down to you! Bowtex give you the protection as a base layer so you can literally style out in whatever jeans, trousers, chinos or pants you like. Hell, you could even wear a skirt if you wanted [it might look a little odd but you’d be protected! That’s the beauty of having leggings, you have the control of the top layer. Rock up on your bike in your normal clothing, I love that! Any extra swaying point for me was the limited choice of Kevlar jeans on the market. Yes, is has expanded hugely in the last couple of years, but you’re still limited to set styles, designs and colours. Having a legging opens the breath of causal jeans to your bike wardrobe. If you’re like me and love your super skinny spray on jeans, it’s important to note that not all your jeans will fit over the top. While the leggings are super streamlined they are still a layer to squeeze into your jeans. This will most certainly apply if you add the armour too. With the almost fluffy woven Kevlar material and a nice thick elastic waist and ankle bands these leggings are super comfortable. For me the stay firmly in place, not riding up my legs or sliding down when I bend. They flex and twist with you. My ideal would be having them slightly more elasticated for a snugger fit under my spray on jeans, however they are still offering superb comfort under your jeans. What’s also great is that they form an extra layer for warmth in the cooler weather while also being highly breathable in the summer. I’ve got no complaints over comfort. Not waterproof but what legging is…you could wear waterproof jeans or I simply carry a small pair of waterproof over trousers if there is any rain risk. Easy! The material is not super elastic, if it was it would give a slightly snugger fit but it’s not essential. For a pair of protective motorcycle trousers their mind market on price, however with that you get a huge array of flexibility to wear whatever kit you like. Note your cost will be the leggings plus whatever you opt to wear on top. Remember, you get what you pay for. Buy cheap Kevlar and you’ll get cheap Kevlar. If you love your super skinny spray on jeans then be cautious about whether a pair of leggings will fit below. I simply wear slightly looser styles over the top to give a little more space. The yellow Bowtex leggings offer the full Kevlar protection, however they also do a commuter version for lower risk riding – their black leggings. If you’re a trend setter, someone who loves their jeans, or simply haven’t found a pair of Kevlar jeans you’ve taken to, then these are for you. With these you can rock any style you want on top and still be assured of protection.